In any shoe, the upper materials are one of the most important (and expensive) components. For football boots, the upper materials are even more important as good materials can make the difference between good and bad touch, comfort, performance, and fit. The new hummel 2006 football boots use a variety of natural and man made materials for ultimate performance and quality. One of the key materials, as used in the 4.2 Concept and 8.2 Concept is Pittards WR Premiership Goat Skin leather. Since last year, hummel and Pittards have been working very closely together to develop this new, exciting material. 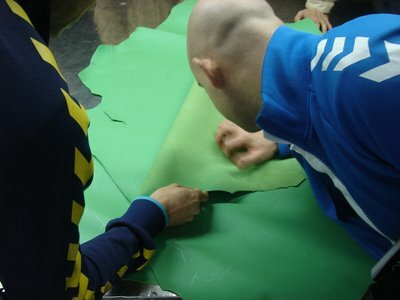 As the first brand worldwide to use this material in football, much of the development and specifics of the product was created and tested to specifications set by hummel and Pittards together. Compared to Kangaroo and Bovine (cow) leather, Goat Skin has a unique fiber structure that gives it natural superior abrasion resistance and breathability. This natural abrasion resistance is further enhanced by a special combination of high performance polymers, silicones and waxes, Pittards eNamelFlex. Applied by process technology this treatment ensures high strength, flex and abrasion properties. Pittards WR Premiership also uses a special weather reistant application; WR100X. The WR100X tanning process has been specially engineered to offer improved water resistance properties, which keep your hummel footwear protected at all times. Although water uptake is limited, WR100X leather is still breathable and will allow perspiration and air to pass through the fiber structure, keeping the foot cool and comfortable. Ordinary leathers take over 24 hours to dry and are usually hard and prone to cracking. WR100 leather dries in around 6 hours, and is as soft and supple as on the first wearing. Before production, the factory will calculate the required material consumption of each part, including "loss" (the small bits left over when the needed shapes are cut out). This requirement is then used byt the factory to order production materials based on production orders placed to the factory. For one style, a number of different materials and suppliers will need to be used. Leather, mesh, laces, lining, foams, reinforcements, etc, each in the required color and quanitity are purchased individually by a material purchasing department. 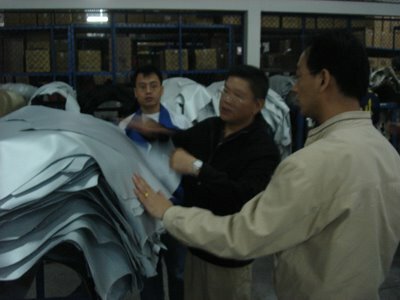 Once the materials arrive at factory, they are kept in a material warehouse, tagged for each order, and inspected. In the case of upper leathers, such as Pittards WR Premiership, which are by the far the most expensive part of a football boot (more than 50% of the total cost of the boot), each individual skin is checked and any faults identified (all natural materials will have some faults), colors inspected (as any natural material may vary slightly), and approved for use. 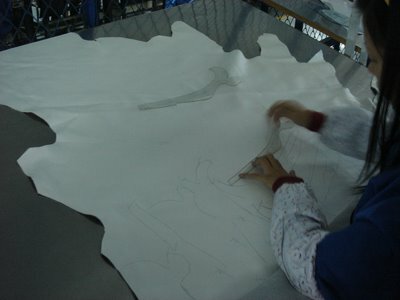 The raw leather is then layed out and marked by hand for the next step, cutting. 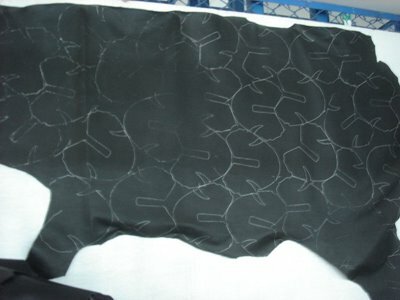 In the pics above, you can see the pattern for the vamp area of the 4.2 Concept pattern parts are layed out to maximize material use for the 4.2 Concept FGC. If goatskin is so good, why don't you use it in all your boots???? We do use Goat Skin on all our top leather boots. Of course, individual players also have different preferences, which is why we also use other materials such as SuperMicrofibre on the 6.2 Concept. Was there a specific boot you were wondering about? What's more expensive???? Goatskin or supermicrofibre???? Is that what makes the price of the boots different or am I just being dumb???? in direct comparison, Goat Skin is much more expensive than microfibre. That is however, only part of the cost of the shoe. Other materials, such as the lining material, or the outsole affect the cost too. As well, even how difficult the boot is to make, has an effect. Ultimately, however, the price of a boot is best set against the market price, and what someone is willing to pay for it! Thanks for the information. It is very educational. When choosing your materials, is any concern given to the environmental impact? If so, which do you view as more sustainable and how much emphasis is it given? For sure different materials have different environmental impact. at this point, being a very small company with not too much control over the entire supply chain (from raw material suppliers to factories), it would be very difficult for us to properly asses and make choices for a minimum enviro impact throughout the process. of course this would be ideal. in my opinion, natural materials are far better in terms of impact, beacuse they are naturally self-sustainable, and also can be part of a another industry. The Pittards Goat Skin, for example is a by product of the meat industry and is a farmed, not culled animial. Unlike Kangaroo which is killed for the skin, and is controlled by quotas to keep the population in check. Thanks so much for the information Richard! 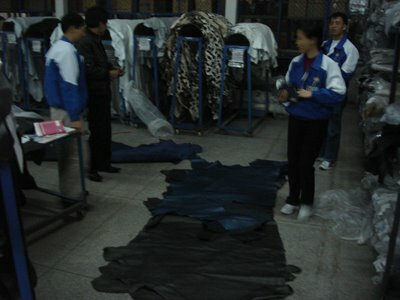 Interesting info about the two different animal hide industries. Hate to kill just for the skin. Makes me question if I want to be a part of that chain (when buying). But, I know it doesn't cross most people's minds. We are disconnected from the process as it arrives to us in a box. That puts the burden on the designer. 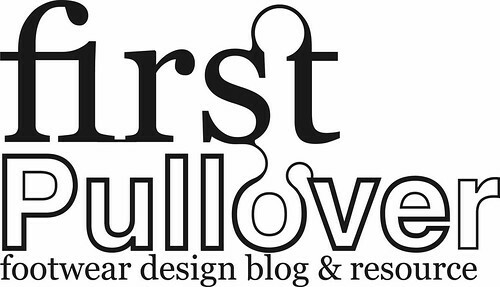 I am a recent graduate with a degree in industrial design. I am often troubled by the use of materials and waste created when multiplied by large quantities. This is a constant internal struggle with my profession. Any advise? And thanks once again for letting us into a world that seems so distant. happy to help provide some hopefully useful info and insight. for sure I can see you issues working in ID and having such a concern of the environment and sustainable design. of course sustainable design is much more common in the public conciousness now, but still i would think it would impossible or very difficult to only choose 100% responsible projects. the way i look at things, is more from a perspective of designing and making products with increased value vs. the materials and processes. the way i make my own purchases for example, is that i would rather have nothing and save money and by one thing of quality (ie. car, sofa, etc.) than something temporary that i can afford now only to replace it several times over my/product's life. for me its not such much an environmental concern, but a greater respect for products that have sustainable value (in emotional, monetary and physical terms). in the end, maybe you could buy a recycable, cheapo ikea table, that you only think is OK, but you would throw it out in 3 years. and buy 10 more in your life. i think its much better to save the money, buy a fantastic, design, something you love, and will keep forever. Goatskin is cheaper than synthetics, else you are being ripped off Richard!!!! ;-) Goatskin is really only worth about USD 2.00 per square foot, so that's only about USD $2.00 worth in a pair of boots. And you talk about viral marketing on SP......shame on you!!!!! actually, i think you are misinformed. kangaroos are killed primarliy for their skin, and are not a farmed animal, which is why the australian government has such tight quota restrictions on the export of the k leather. goat skin (depending on the product and supplier) is typicallz around $4.00 per sq.ft. Kangaroo was in the past around this same price, but now beacuse of recent dry seasons in australia and an overall decline in the population, the supply has dropped as has the quality of available skins, and the price has increased. it is now $5-6 per sq. ft. depending on the product. 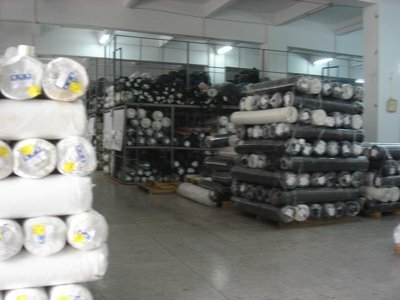 a premium supermicrofibre material, such as teijin or san fang is usually around $2.00 sq.ft. of course other less expensive synthetics can be much less even down to less than a dollar. as well, as mentioned, there are different losses in cutting to consider. synthetics are lowest in loss as the material is consistent. Goat is better than K, as the skins are larger and the general quality better with less flaws. this also impact the price of the material used on a shoe, not just the raw material cost. as for your calculations, these are also incorrect. a shoe, if made of all over one material, will use about 3.5 sq.ft. of material. again, it depends on loss and the pattern, of course. this sound just like the kangaroo skin crazy with some high brand like Nomis boots using it and they fell apart after a few games. what makes the goat skin different from the kangaroo skin? The difference between Kangaroo skin and Goat skin is mostly in the fibre sturcture of the material. natural leathers are composed of two main layers- grain (the top part on the surface), and Corium, the fiberous part under the surface. It is the grain (top surface) that gives the material its abrasion resistance properties. Goat skin has a much higher grain-to-corium ratio, meaning that the surface layer is thicker compared to K-leather. This naturally gives it a better abrasion resistance. As well, the coruim (fibre) of Goat skin has a more random sturcture, giving it better breathability and abrasion reistance. In addition, the goat skin we areusing, by Pittards hasa special WR100X treatment, which is a combination of silicones and waxes put directly into the fibres, to give permanent, water resistance and abrasion reistance without sacrificing breathability and touch. This is much mroe durable and permenent that the usual spray on water reistance costing used on other leathers wheich typically wears off quickly. Is it important that the Upper material - like leather - have high tearing values? Because Presume that Kroo has higher tearing values than Goat and being this case presume it will impact on the life of the shoe? Or do you compensate for the tearing by using reinforcements? there was not much mentioned about the bovine material. does it have similar prices or texture? How much does it cost to make boots using the raw materials like leather, goatskin etc.? I see some companies are using shark skin for their boots, as it's apparently naturally waterproofed, I've never worn a goat skin boot, are they very water resistant? Also would putting some sort of leather treatment on them ruin how well the material breathes?